Sobering fact for anyone who dreams of being the next JK Rowling: many published authors still have day jobs. Sure, it's not "romantic" when an author doesn't support themselves solely through writing, but it's a reality. For some, publishing a book is just another notch on their CV, or padding for an executive bio. 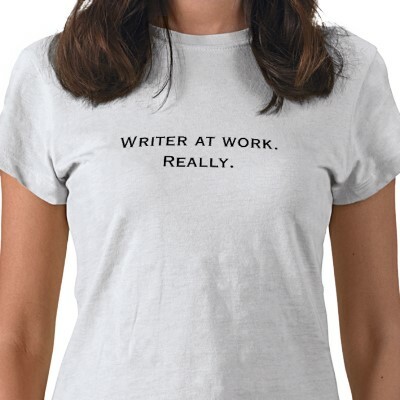 On the other hand, dedicated, passionate writers want to make a living from their craft. It is our brass ring. It is also an attainable goal given a steady diet of patience, perseverance and luck. Need some help maintaining your sanity whilst you soldier away at the dreaded J-O-B? No problem. Over the next few weeks I'll be posting a series of 5 tips designed to improve life, avoid disaster, and help nurture a creative spirit en route to our mutual goal. So stick around. This should be fun! Thanks Martin. Looking forward to it! Learning all I can! If I've not mentioned before Seekerville is doing a month-long 3 yr birthday celebration. All the Seekers will be discussing their writing lives. Today's is with award-winning, multi-published Mary Connealy. She writes 1000 words/day, 7 days a week. Wshew. Thanks for the tip on the Seekerville event. I'll check it out! Also, 1000 words a day? That's incredible!